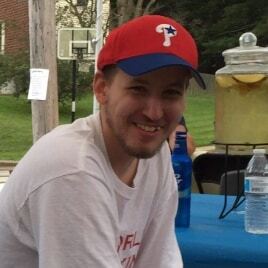 Tyler Joseph Wiley, suddenly passed away early Sunday morning 6/12/16, comfortably at his home in Westbrook Park, Pa. Tyler was a bright, spirited, strong, selfless wonderful young man. Tyler was a excellent student and stellar athlete before he was diagnosed with brain cancer in May of 2007. He was determined and brave and fought his battles with grace and perseverance. Unfortunately God wanted Tyler home with him. Tyler touched everyone he met, he cared about others and what they were going through trying to make them smile, rather then complain about the pain he was in or that he was so tired from being at the hospital all day. He was an amazing young man, full of life and such happiness! Tyler was taken from this world too soon but for anyone who got to know him, definitely loved him! He will be terribly missed! Tyler Joseph Wiley, 22 was born on June 15, 1993. Tyler is survived by his loving mother, Candece Villarose and stepfather Leonard Villarose Jr., father, William J. Wiley, sisters Jacqueline R. Cicala, Sierra J. Villarose and Brooke Wiley. Also step sisters Jessica L. Villarose, Victoria V. Villarose, Destinee Pikrell, and step brother Charlie McCaughley. Grandparents, Jacqueline and Bernie McAndrew, Patricia Sheerin, Gerry Quigley, Mr. & Mrs. Joseph Pinto Jr. Along with nieces, nephews and many cousins and friends. Healgrief has a memorial to share with you. https://healgrief.org/tyler-joseph-wiley/ We invite you to express condolences, share special memories and photos and light virtual candles to honor and celebrate the life of our loved one. We also invite you to share this with others who may want to be notified as well. You may do so by sharing the link or by clicking the “Share this Memorial” button from within the memorial itself.